Central America. 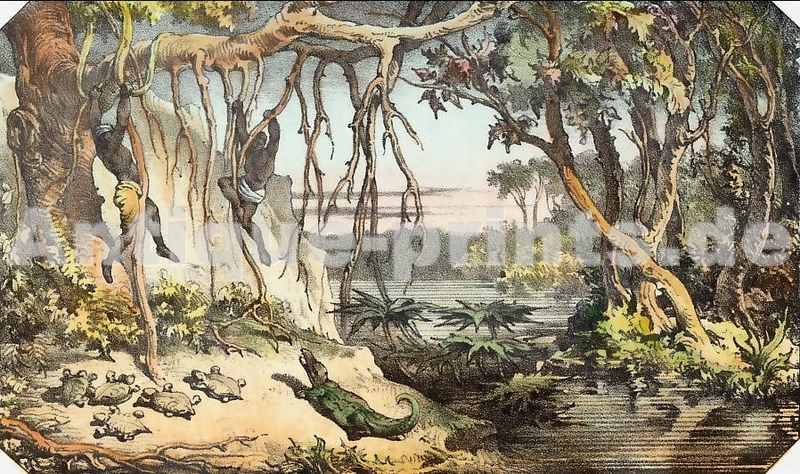 Original coloured lithography, lithographed by F. Terzaghi after Barbieri. 1857. Very good condition. Hand-coloured. 16,5x10cm. Matted.